You will discover your highest purpose in Me, says the Lord. You have longed to know what it is. Press into My presence and glory and you will receive the answers to your questions and your needs. It is in Me that you will find fulfillment. It is in Me that you will find the secrets of your success. It is in Me that you will find radical joy and gladness. There is nothing that you will not find in ME, for you will be complete in Me, says the Lord. I will fulfill the desires of your heart because I Am the One who has placed them there. They are birthed in Me, and will I bring to the point of birth and not cause delivery? No, I will not. Will I place desires within you and cause them to be unfulfilled? No, I will not. I always finish the good things that I begin, and I have begun a good work in you. You are on your way, for I Am continually building and making you as you place your faith and trust in Me and allow Me to be in control. Let Me do the shaping. Let My Spirit direct your path and stop wondering where it will lead. I know. I lead. You follow. Follow on to KNOW ME and press into My presence and glory as you seek Me. Not only will you find Me, but you will find your unique purpose IN ME, says the Lord. 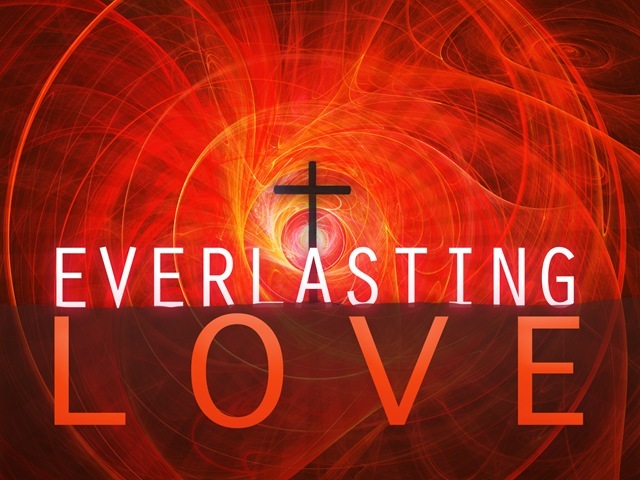 I love you with an everlasting love and I give you My everlasting life. It is within you. My Spirit is within and My still, small voice is guiding. Do not worry about the steps you take that I order. All will lead to your destiny in me, as I bring you into your prescribed purpose. Trust that you have purpose. Do not give up and do not settle for less than I have for you. You are not the one to fulfill the longing of your heart. I AM! I WILL! I have done so in the past, and I Am not finished with you yet. You will find yourself when you find Me! Abandon yourself to Me and allow My Spirit to infiltrate every portion of your being and bring you out of the wilderness and confusion that you are presently going through into your personal promised land. I AM the giver of every promise and the promise keeper. I AM KEEPING YOU! Your purpose is ahead and not behind you. It is a perfect destiny in Me, and I will see to it that you fulfill your purpose as you place your faith and trust in Me and let Me take you forward, one step at a time, says the Lord.